Blessed is the spot! 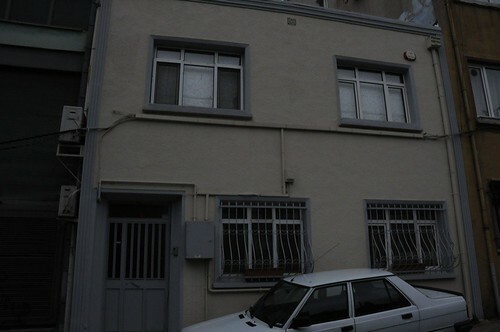 We knew there was the House of Bahá’u’lláh in Edirne to visit while we were in Turkey, what we didn’t know was there was also another house here in Istanbul that stands in the same location as the second house Bahá’u’lláh stayed in during his four months here. So this morning we discovered the 4.4 km route a la Google Maps that we needed to walk to get to #4 Meymenet Sokak. And so we set out to find this very holy spot, and we did that with only a very little bit of help at the end. By the way, if you are interested to know about the Baha’i Faith, go here. 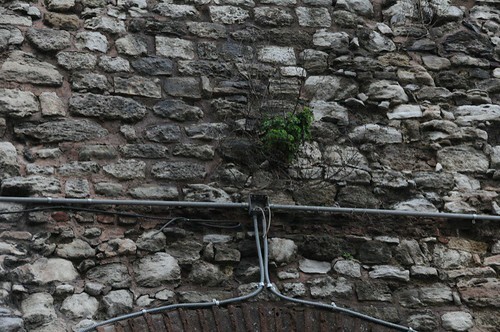 For us, this find was far more important and spiritual than visiting all the grand mosques in Istanbul. We spent the best part of an hour in meditation and prayer, thanked the caretaker and quietly resumed our day. Lawrie found us many deserted streets to walk. I found us a great hole-in-the wall place to eat. Along the way home we manage to find the famous aqueduct. 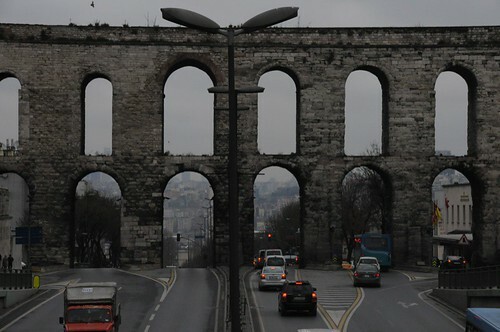 Wikipedia says “The Valens Aqueduct is a Roman aqueduct which was the major water-providing system of the Eastern Roman capital of Constantinople (modern Istanbul, Turkey). 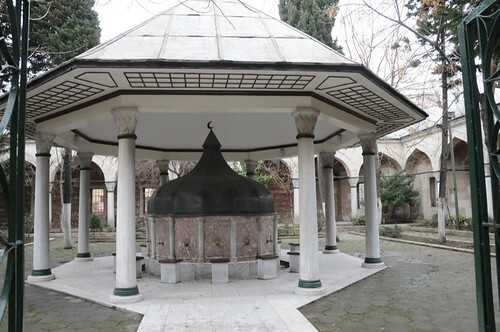 Completed by Roman Emperor Valens in the late 4th century AD, it was restored by several Ottoman Sultans, and is one of the most important landmarks of the city. 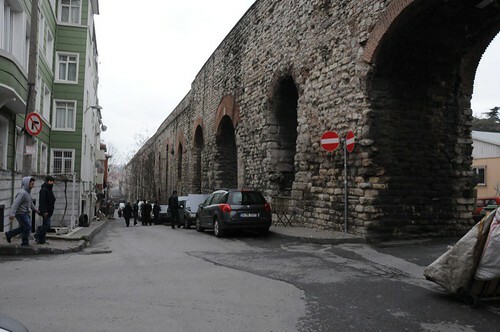 The aqueduct stands in Istanbul, in the quarter of Fatih, and spans the valley between the hills occupied today by the Istanbul University and the Fatih Mosque. The surviving section is 921 meters long, about 50 meters less than the original length. 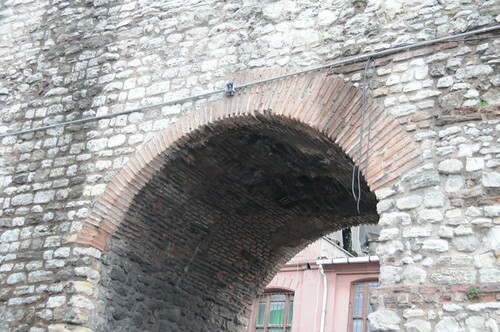 The Atatürk Bulvari passes under its arches.” The terminus is the Basilica Cistern and that means water for Topkapi Palace. We returned to the Grand Bazaar to do some serious shopping and then came back to our hotel to tea and cookies and the Saskatchewan/Canada curling game replayed on the laptop a day late. Yeah Saskatchewan!!! 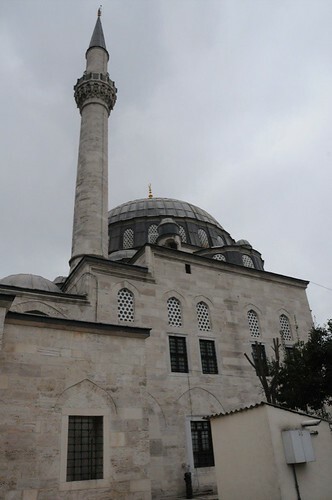 I think we will plan to visit Edirne and complete our pilgrimage for 2011 on Wednesday. Maybe tomorrow we will visit some of those grand mosques, Bahá’u’lláh did after all go to pray in them! What a hoot to see you two in Haifa! this side rip to Turkey looks very interesting. Yes Brian, we too enjoyed seeing you in Haifa! Pretty amazing that we lived side by side for eight years and then be all became Baha’is after we no longer were neighbours, then were on the very same Pilgrimage! We think that was very cool. Turkey was interesting … worth a visit! Hope to see you again too. 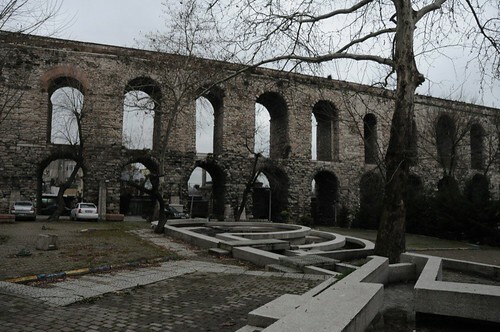 The aqueduct to carry water to ‘Akká was built in about 1815 to replace an earlier one destroyed by Napoleon. By the time of Bahá’u’lláh’s arrival, it had fallen into disrepair.Photo Credit: Bahá’í World Centre archives, 1968 — Download a high resolution version of this image (Bahá’í Media Bank). 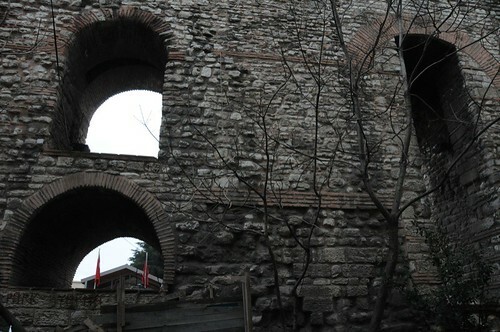 On my walk from Sultanahmet to Kariye Museum saw these aqueducts. It’s nice that they have been integrated into modern city life but there’s not much else you can do. Worth a look if you happen to be in the area. 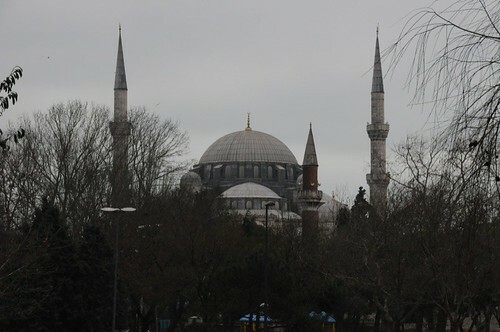 I will love to be in Istanbul again … maybe when we next are in the Middle East for pilgrimage again? The blending of old and new is abidingly interesting to me! We so appreciated our visit to Istanbul and couldn’t agree with you more! There are some very beautiful photos in the the archives! It is a wonderful resource to know about and be able to use. Was this aqueduct repaired during Bahá’u’lláh’s time do you know? There were about one hundred believers in ‘Akká consisting of those who resided there and the visitors. Most of these people were engaged in some trade or business. There was tremendous love and unity among these souls. They derived great joy from associating with each other and were very proud to have the privilege of serving one another. All this made them feel that they were living in paradise. One should not visit the aqueduct in and of itself. However, if you go see the Prince’s Mosque, which is well worth the detour, the aqueduct is right out the front door and would take but five minute to see. 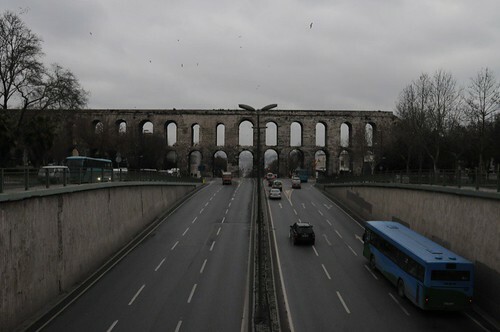 Frankly, there are better aqueducts to be seen in the world, but if you haven’t seen one before, this is a good one to see. 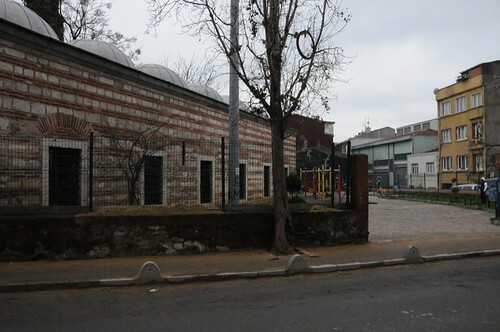 The portion outside of the Prince’s Mosque is in good shape. Other parts, not so much. I’m a little confused about the other negative reviews. It is really not that bad.